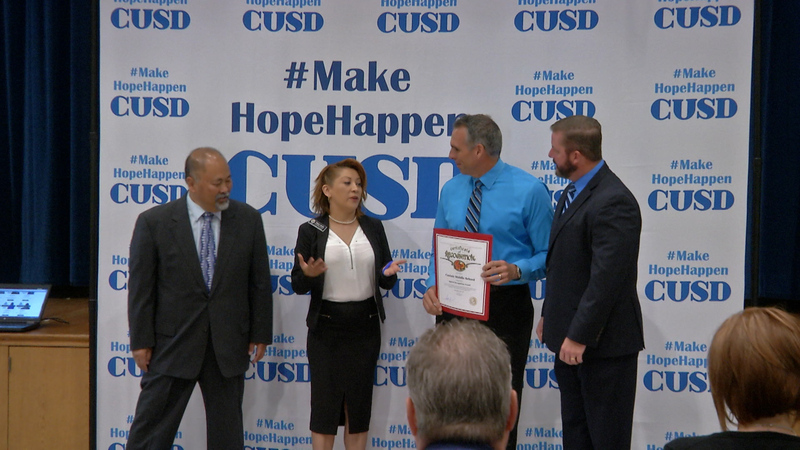 Castaic Middle School has been selected by Farmers Insurance as one of 15 national finalists for “Thank America’s Teachers Dream Big Grant”. Farmers Insurance will award five schools with a $100,000 grant this winter; the winners will be announced in December. If granted the support of Farmers Insurance, CMS will update their current equipment so that they may offer their student video services to the non-profits in the Santa Clarita Valley free of charge. Farmers will award their grants based on a popular vote and voting begins today. You can vote at https://www.farmers.com/thank-americas-teachers/vote-for-a-teacher/vote-100k-proposal/.